Tomorrow night, John McMurtery and Ashlee Mack perform my Bagatelles for alto flute and piano at Western Illinois University. 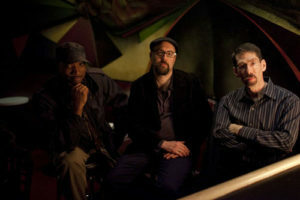 They will also perform them on March 30th at University of Minnesota. On April 5th, soprano Sara Noble will be singing a chanson of mine on an Opera on Tap program in Brooklyn. The Byrne:Kozar duo will perform A Lady, my microtonal Amy Lowell setting for soprano and trumpet, at DiMenna Center on April 27th. 26 – Three Bagatelles, John McMurtery, alto flute; Ashlee Mack, piano; Western Illinois University, Macomb, Illinois; 7:30 PM. 30 – Three Bagatelles, John McMurtery, alto flute; Ashlee Mack, piano; University of Minnesota, Minneapolis, Minnesota; 7:30 PM. 5 – Je suis aimé de la plus belle, Sara Noble, soprano, Opera on Tap, Barbès, Brooklyn, New York; 8 PM. 27 – A Lady, Byrne:Kozar Duo, Permutations at DiMenna Center for Classical Music, New York, New York; 7:30 PM. 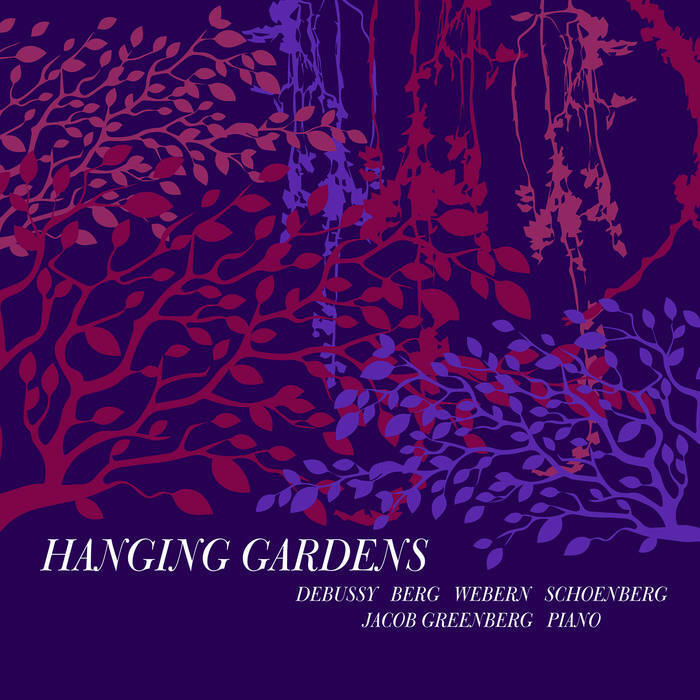 Rather than the customary bifurcation, Impressionism and Expressionism are related to one another on Hanging Gardens, pianist Jacob Greenberg’s loving curated, beautifully performed double CD. 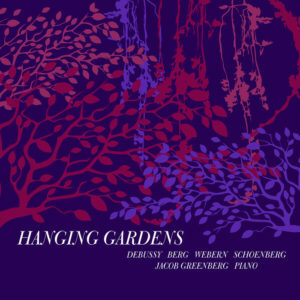 He is joined by soprano Tony Arnold for Arnold Schoenberg’s song cycle The Book of the Hanging Gardens, a work that epitomizes the overlap that occurs between the aforementioned styles. Their performance rivals the other best one on record, by Jan DeGaetani and Gilbert Kalish. Greenberg authoritatively performs a number of works by Debussy, including both books of Preludes. 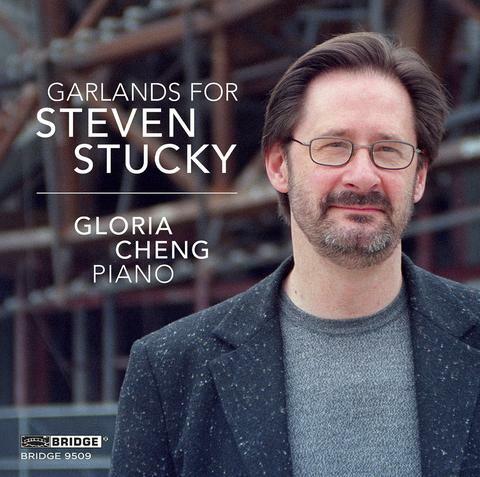 His renditions of the Berg Sonata and Webern Variations are also compelling. Once again, he finds subtle connections between the atmosphere of the Second Viennese School composers and their Parisian counterpart Debussy. It makes the works seem airier, more supple, and like one is listening afresh. Composer Christopher Fox has crafted an imaginative output, employing diverse approaches and many different technical resources. His latest Métier CD, Headlong, is devoted to clarinet music, for instruments of varying sizes. Heather Roche is the stalwart interpreter of these pieces. Her own versatility and facility with myriad extended techniques make Roche an ideal performer of Fox’s music. Indeed, the clarinetist’s website serves as a compendious catalog of techniques used to play contemporary works. This recording serves as an ideal accompaniment to her web-based pedagogical forays. Several works here are ten-minute essays that have time to build and, in places, to breathe (as, one hopes, Roche is afforded as well). Even slightly shorter works like the gentle, fragmentary seven minutes of …Or Just After are given time enough to display significant exploration of the materials used in their construction. Here, there is a contrast between plummy low register melodies and higher single, sustained notes. Gradually and after many iterations, the upper line gains a note or two. This subtle shift in texture feels seismic and changes the registral give and take of the work. Likewise, small shifts are meaningful moments in the six-minute long Escalation. 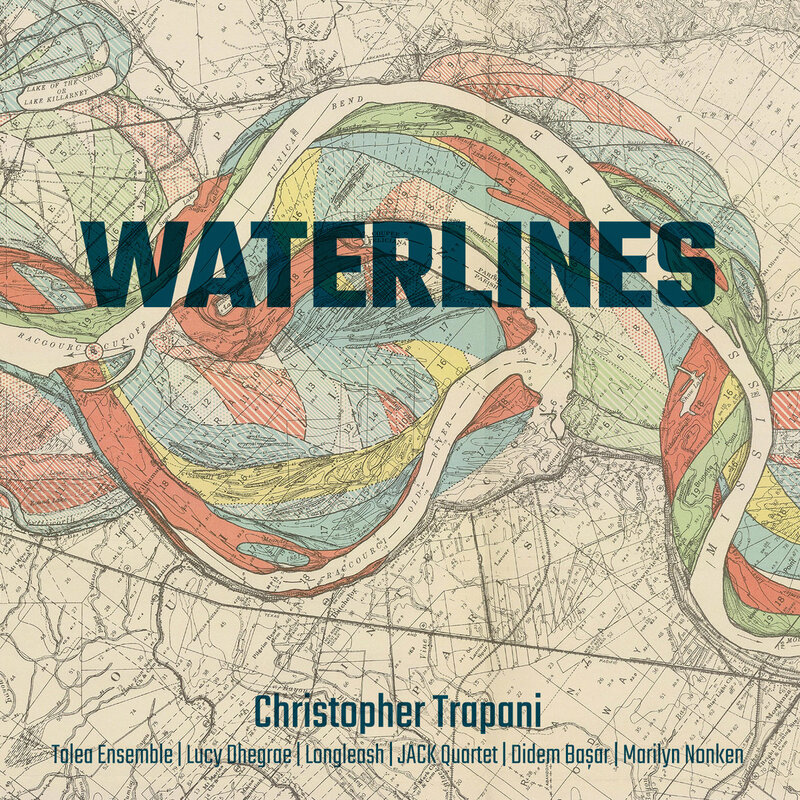 Originally written for Bb clarinet and here played on contrabass clarinet, the piece explores a mid-tempo stream of short phrases of chromatically ascending notes. In this incarnation, the sepulchral register in which these occur accentuates a kind of “walking bass” character that imparts a hint of jazzy swagger. Some of the pieces include overdubs, either of electronics or other clarinets, and a couple are transcriptions of works originally written for other instruments or else for unspecified woodwinds. Originally composed for oboist Christopher Redgate, Headlong includes an ostinato electronic accompaniment that the composer suggests could sound like video games from the 1980s. The real fun here is the morphing of tempos through three different ratios: 5:4, 9:8 and 5:3. It makes for intriguing interrelationships between the instrumental part and the accompanying motoric bleeptronica. 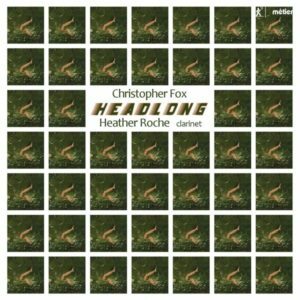 Headlong is an engaging mix of tempo modulation and minimal pulsation that shows a different and appealing side of Fox’s creativity. On stone.wind.rain.sun, Heather Roche overdubs a duet with herself. The two clarinets converge and diverge throughout, with sustained and repeating notes in one instrument serving as a sort of ground for the chromaticism of the other voice. Registral changes, such as a leap downward to the chalumeau register to add single bass notes to the proceedings, divide the counterpoint further still, at any given moment affording one the impression of three or four distinct voices in operation. One of my favorite compositions on the CD is Straight Lines for Broken Times, another piece employing overdubs. 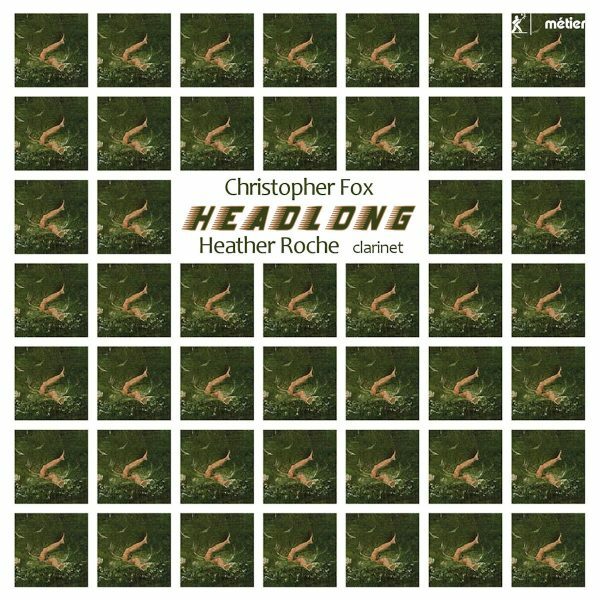 One track samples bass clarinet playing polyrhythms while the other two explore the “harmonic riches of the instrument,” as Fox describes a plethora of upper partials. Extended techniques are abundantly on offer. Altissimo notes, multiphonics, microtones, and harmonics create a swath of textures. However, the polyrhythmic underpinning assures that the piece feels guided in its course, beautifully shaping what could be a melange of overtone clouds. Straight Lines for Broken Times encapsulates Fox’s proclivity for experimentation in multiple domains: that of the recording medium, a wide palette of pitches that encompasses microtonal harmonics, and fluidly morphing tempos with intricate layers of local rhythms. The result never ceases to be of interest. 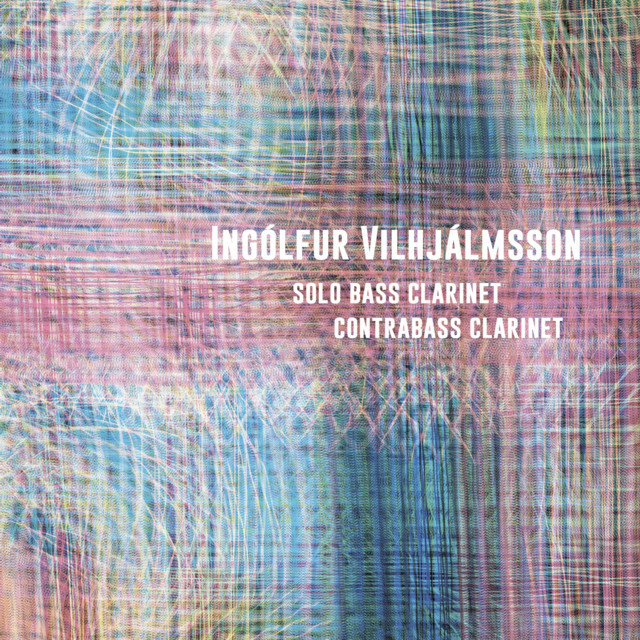 Ensemble Adapter’s bass clarinetist Ingólfur Vilhjálmsson strikes out on his own on his first solo CD. 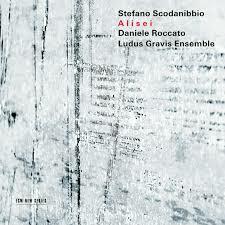 The disc contains two outstanding pieces by Franco Donatoni, Soft I and II and Ombra I and II. 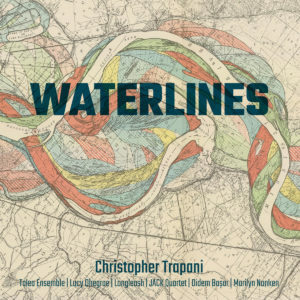 Another standout is Tinted/Milieu for contrabass clarinet and electronics by Thrainn Hjalmarsson; it revels in some of the deepest tones one can elicit from the instrument. For the same forces, Jesper Pedersen’s Kesselschleicher allows the electronics to take on a more active role. 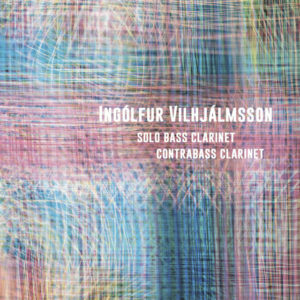 Jacob Deal’s Suada exercises Vilhjálmsson’s flexible upper register on the bass clarinet, while Alistair Zaldua’s Something other than it is explores the many extended techniques available to the instrument. With a diverse selection of composers, Vilhjálmsson’s CD is an excellent complement to Roche’s Headlong. Composer James Romig has spent the past twenty years cultivating a body of work that embodies both rigorous structuring and a wide-ranging gestural palette. As is explained in Bruce Quaglia’s excellent liner notes for Romig’s first New World CD, Still, there is good reason for these two aspects to be so important to Romig. His training as a composer was with American modernists Charles Wuorinen and Milton Babbitt, while his background as a performer – a percussionist – included a number of works by minimalists such as Steve Reich. Extra-musical touchstones also play a significant role as inspirations for the composer. A series of National Park residencies has provided him with natural beauty to contemplate while composing. Abstract Expressionist painters such as Clyfford Still, who is the titular reference point for Romig’s piece on this CD, also enliven his imagination. 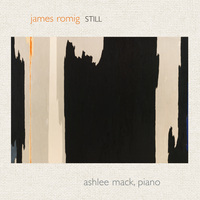 Nowhere in Romig’s output to date is this confluence of influences more apparent than in Still, a nearly hour-long piece for solo piano. One can see the pitch material’s progression in a chart in the liner notes and note the comprehensiveness of its organization. Unlike Romig’s portrait disc Leaves from Modern Trees, where the pieces tend towards tautly incisive utterance, here the progression of pitch material evolves slowly in a prevailingly soft dynamic spectrum. Ashlee Mack, a frequent performer of Romig’s music, provides a sterling interpretation. Slow tempi are maintained no matter what local rhythms (some complex) ripple the surface texture. In addition, Mack voices the harmony skilfully, allowing the piece-long progression to be presented with abundant clarity. One more composerly ghost lurks in the room: that of Morton Feldman. Also an appreciator of Abstract Expressionism, who created long single movement pieces that transformed slowly and remained primarily soft, Feldman could seem to be Still’s natural progenitor. While surface details and scale of composition are similar, there is a significant musical difference between Feldman’s paean to a painter like Philip Guston and Romig’s reference to Clyfford Still. As pointed out by theorists such as Thomas DeLio, the undergirding of a Feldman piece is indeed subject to an organizational structure. That said, his work seems more intuitive than Romig’s, which is methodical in the unfurling of its linear components and their constituent harmonies. Whether Feldman’s surface in any way inspires the depths of Still, I am not sure; it would be an interesting question to pose to Romig. Either way, Still is his most engaging and beguiling piece to date. One looks forward to hearing more works that accumulate Romig’s proclivity for parks, painters, maximalists, and minimalists; these many ingredients make for intriguing results. Steven Stucky passed away from cancer in 2016. For Garlands for Steven Stucky, Pianist Gloria Cheng commissioned thirty-two pieces in the composer’s memory from Stucky’s friends and colleagues. There are many stirring tributes here, ranging from those who use their offerings as expressions of grief, such as Fratello by Magnus Lindberg, Donald Crockett’s stirring Nella Luce, and Elegy by Joseph Phibbs, to fond remembrances: And Maura Brought Me Cookies by Andrew Waggoner and A Few Things (In Memory of Steve) by Steven Mackey. Other composers, such as Brett Dean in Hommage à Lutoslawski and Michael Small in Debussy Window, commemorate Stucky’s engagement with other composers’ music. Finally, there are pieces that celebrate craft in memory of a master craftsman: Waltz by John Harbison, Capriccio by Julian Anderson, and Esa-Pekka Salonen’s Iscrizione. Soprano Peabody Southwell and oboist Carolyn Hove join Cheng in Stucky’s Two Holy Sonnets of Donne (1982), a moving valediction. In addition to working with a conventional instrument, flutist Tammy Evans Yonce has made a specialty out of playing with a glissando headjoint. For her debut CD, Dreams Grow Like Slow Ice, she commissioned several pieces from active composers, some for glissando flute, and some with electronics to boot. While she is careful to delineate the various bends, microtones, and portamento phrasings afforded to her by this setup, the change of timbre that the headjoint affords is also an appealing element at play. Fire Walk by Jay Batzner could be a masterclass for the various techniques one can employ. On the title piece, Batzner adds drone-based electronics to the microtonally festooned proceedings. Highways by Andrew M. Rodriguez marries flutter-tonguing to glissando effects. Angularities by David Mitchell uses small pitch cells to construct an elaborate multi-tiered work that delivers as advertised. Solo pieces on the CD without the glissando headjoint are equally diverting. Michael Kallstrom’s Behind the Day supplies lyrical lines with Shakuhachi-liked inflections while his The Falling Cinders of Time is filled with soaring melodies. Commendo Spiritum Meum, by Alan Theisen, is an exquisitely constructed post-tonal miniature. Highly regarded for his work with Wet Ink, violinist Josh Modney’s recital recording Engage is a stirring two-hours of music. There are a number of Modney’s own improvisations/compositions, pieces by colleagues in Wet Ink, a searing version of Anthony Braxton’s Composition No. 222, and the famous Chaconne from Bach’s D minor Partita played in just intonation. Jem Altieri, by Sam Pluta, features distressed playing alongside avant electronics. 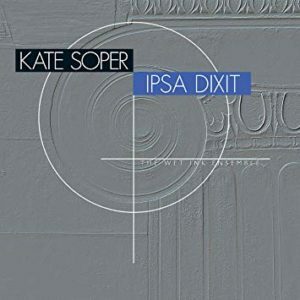 A duo with composer/vocalist Kate Soper pits the soprano playing with the timbre of vowel dislocations alongside similar sounds via bowings on repeated notes by Modney. Vocalise by Taylor Brook features a detuned G string and an “offstage” drone to hypnotic effect. The Children of Fire Come Looking for Fire by Eric Wubbels is an unflinching behemoth for violin and prepared piano. 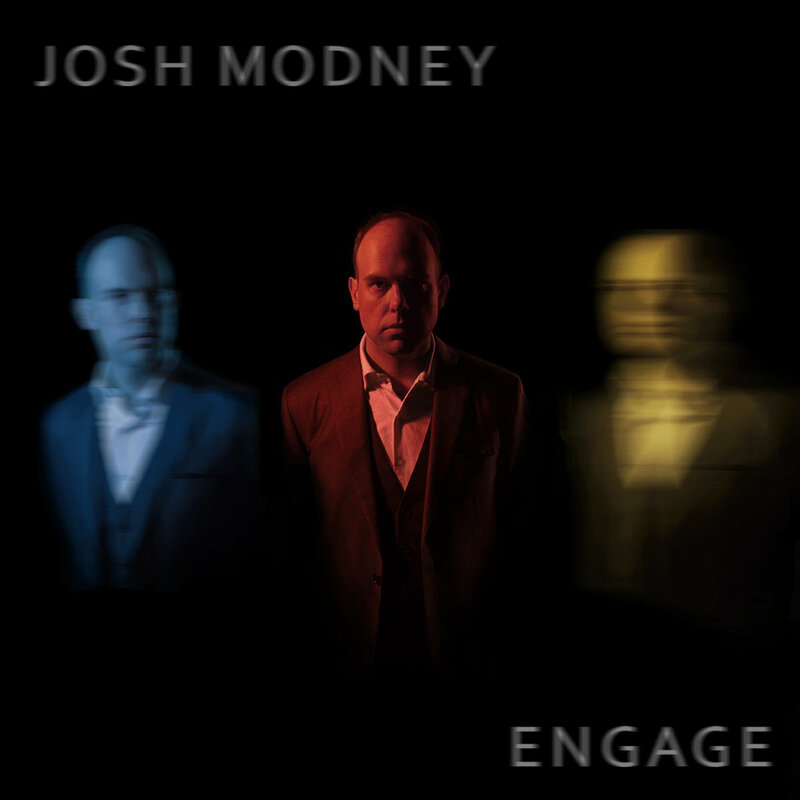 Modney’s solos are at turns meditative and fiery creations, blazing with intensity. 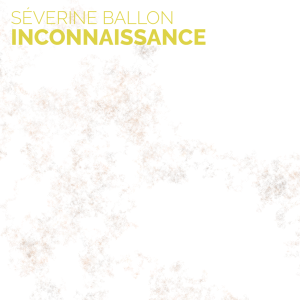 Many composers have been fortunate beneficiaries of the advocacy of cellist Séverine Ballon. 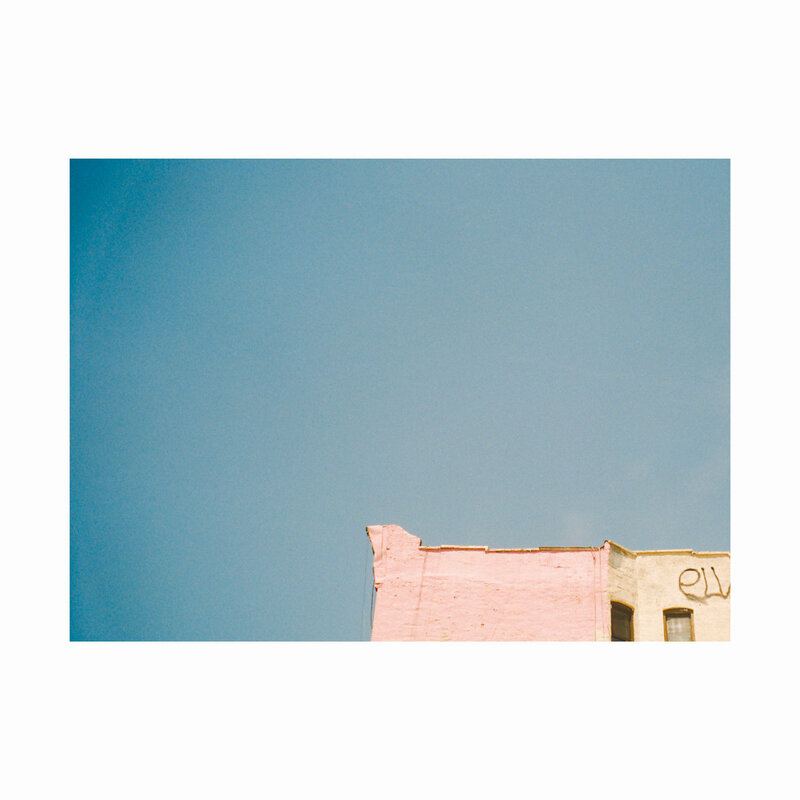 In a CD for new contemporary music imprint All That Dust, Ballon, for the first time, records her own compositions and improvisations. Informed by the works she has championed, such as those of Liza Lim, Rebecca Saunders, and James Dillon, the cellist displays an acute awareness of the various techniques – many extended – and stylistic approaches of composers at the European vanguard. She deploys them with skill, taste, virtuosity where it counts, and an impressive patience in shaping formal structures. A project begun in 2016, under the auspices of the Centre for Research in New Music at Huddersfield University, brought together the Montreal-based Bozzini Quartet, the Scottish hardanger fiddler Sarah-Jane Summers, and Huddersfield artists pianist Philip Thomas, and composers Bryn Harrison, Mary Bellamy, and Monty Adkins. Some of the resulting music is heard on Bozzini+, a double-CD featuring an extended work by each of the participating composers. Bryn Harrison’s Piano Quintet revels in juxtaposing irregularly repeating piano filigrees with with whorls of glissandos from the quartet. Bellamy’s beneath an ocean of air crafts high-lying, tenuous sounds interrupted by occasional submersive thrusts. Still Juniper Snow, by Adkins, emphasizes sustain, with long drones held against folk-inspired melodies, creating a slow paced, sumptuous surface. 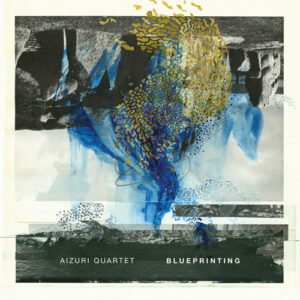 Bluprinting is a thrilling debut recording from the Aizuri Quartet, consisting entirely of new works by active American composers. The pieces vary in impetus but are all compelling. Gabriella Smith’s Carrot Revolution deconstructs everything from chant to fiddle tunes, Caroline Shaw’s Blueprint harvests harmonic material from an early Beethoven quartet, Lembit Beecher uses sonic sculptures made out of bicycle wheels and wine glasses, Yevgeniy Sharlat incorporates mournful melodica into a piece written in remembrance of a composition student, and Paul Wiancko’s Lift traverses extended techniques, “maniacal” swing, and post-minimal exuberance. The Aizuri Quartet negotiates each successive challenge with brilliance. Their advocacy for new music is exemplary. This week, Low released a video for “Rome, Always in the Dark,” one of the tracks off of their new Sub Pop recording Double Negative (released yesterday). On Double Negative, Low, probably best known for its work as one of the premier slowcore bands, moves their music closer to an aesthetic involving deconstruction and electroacoustic elements. One saw glimmers of this approach on their previous album, Ones and Sixes (2015), but now the band approaches distressing and reconstituting recorded material, including warped cassette tapes, full on and with aplomb. It is a fascinating new layer that complements, rather than replaces, the duet vocals of group founders Alan and Mimi Sparhawk and the group as a whole’s knack for finding fetching melodies and fashioning memorable instrumental arrangements. Double Negative is one of the freshest-sound and best executed recordings to see release this Fall. For a band in its third decade together, this vitality is all the more remarkable. On October 25th, Constellation Records will release Entanglement, the second solo release by Jessica Moss. A violinist and vocalist who is one of the central members of Thee Silver Mt. Zion Memorial Orchestra and co-founder of Black Ox Orchestar, Moss draws upon a prodigious range of influences: from the post-rock and avant-klezmer of the aforementioned groups, to drones and loops reminiscent of post-minimalism. Over the past year, she has honed the material of Entanglement at over eighty concerts, developing a side-long piece, “Particles,” and a suite of four “Fractals.” Impassioned, moody, and slow-burning, her compositions are some of the most compelling fare we have to anticipate this Fall.